To order the CD, click here. One of the keys allowing me to unlock whatever it is I’ve got locked up inside me is church. Whether working at them or playing at them or doing events sponsored by them, church is a big part of what I do. It’s also a big part of who I am. 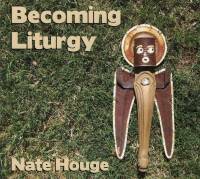 Along the way I’ve written quite a bit of material for congregational singing and Becoming Liturgy is an outlet for just that. In the spring of 2009 I started recording at Small Circus Studio in NE Minneapolis with Russel Munson at the helm and a wealth of talented friends at the ready. Over the course of days spread out over months we recorded these 28 songs.